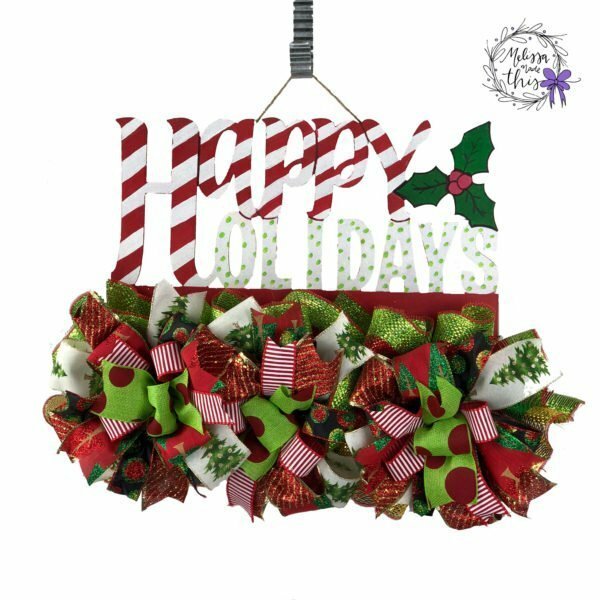 This festive door hanger in colors of red, white, and lime green will be the perfect way to greet your party guests , friends and family this Christmas. 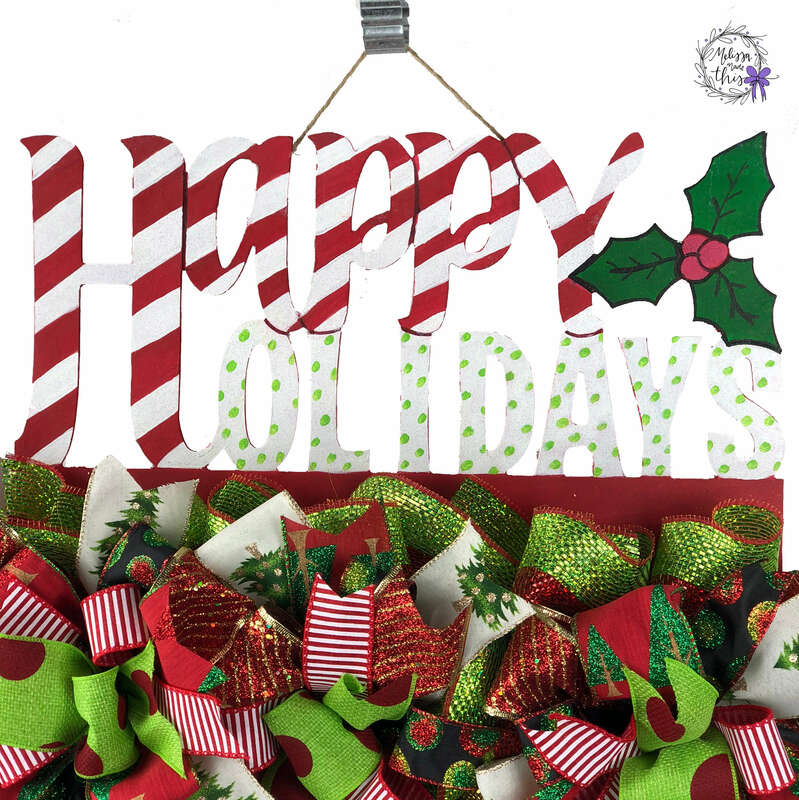 This Happy Holiday welcome sign is a perfect way to greet everyone from your party guests, friends, family or even the UPS delivery personnel! 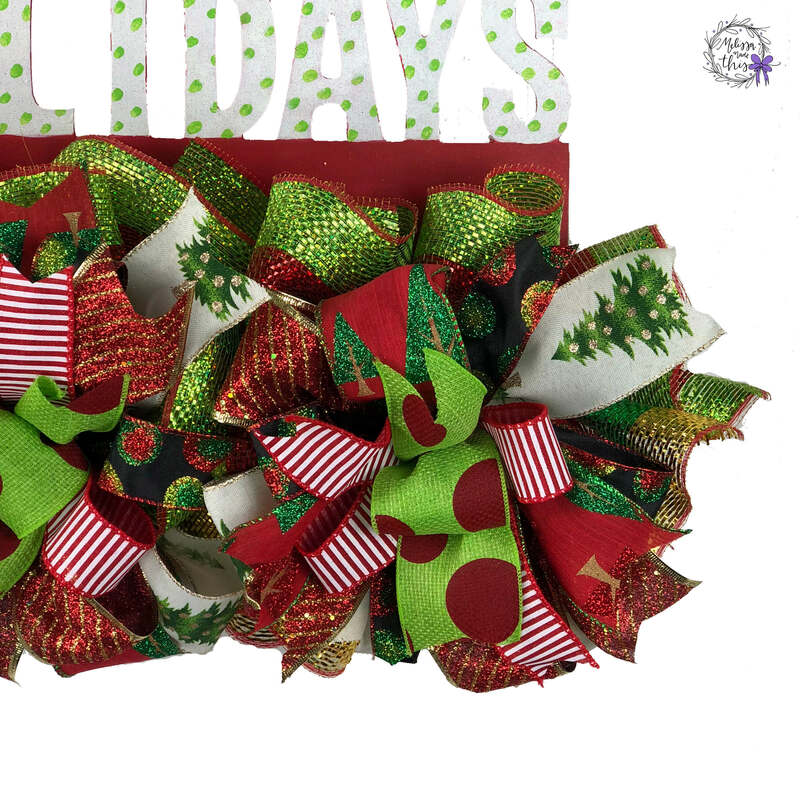 Colors of red, white, and lime green will leave your door or wall merry and bright! It looks great alone or with your other decorations, and can be hung on a door or on the wall. 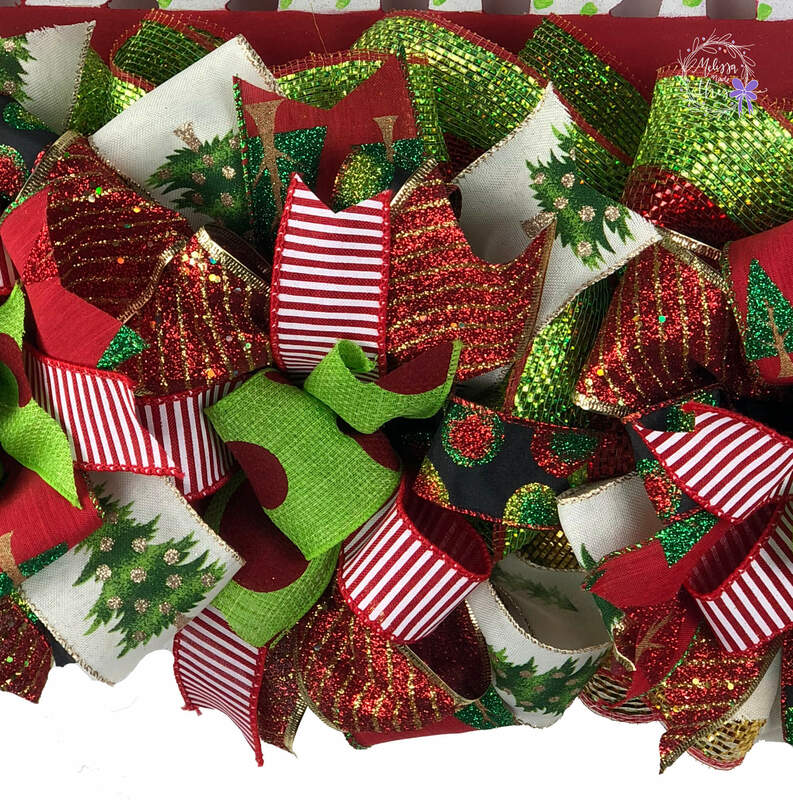 This hand-painted wooden door hanger is adorned with red, gold, and lime green striped metallic deco mesh ruffles. 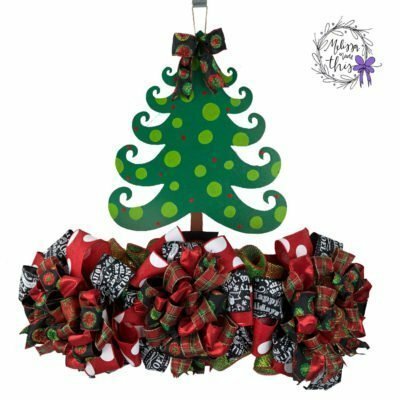 Bows made with wired-ribbons of red and white pinstripes, red ribbon with glitter Christmas trees, lime green ribbon with giant red polka dots, black ribbon with red & green glitter polka dots, cream ribbon with green Christmas trees, and red and gold striped glitter prints add texture and fullness. Wired ribbons can be reshaped as needed. Custom orders available in color or theme of your choice.